Web Site or Web Application ? Previous versions of the Visual COBOL product allowed you to create a Web Site in COBOL so what are the differences between the two options ? In addition to the Microsoft documentation, the Visual COBOL product also contains a Book sample implemented as both a Web Site and a Web Application for comparison. The new functionality in R3 simply means that you now have the flexibility to choose the most suitable architecture for your Web project. 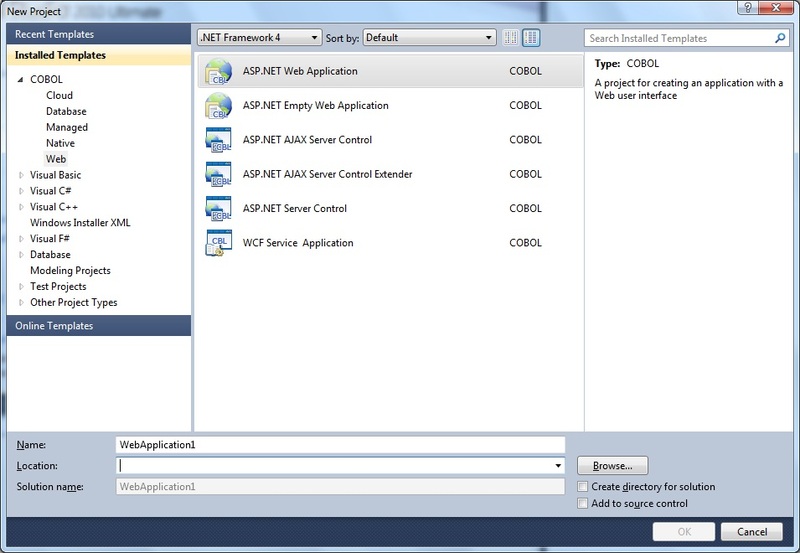 I was recently at the ISV conference in Las Vegas and there was mention of an ASP.NET MVC template being available. Could you please clarify this and if it exists, direct me as to where I can download it.